Knirsch: "It makes no sense to talk only about the disappearance of the diesel." 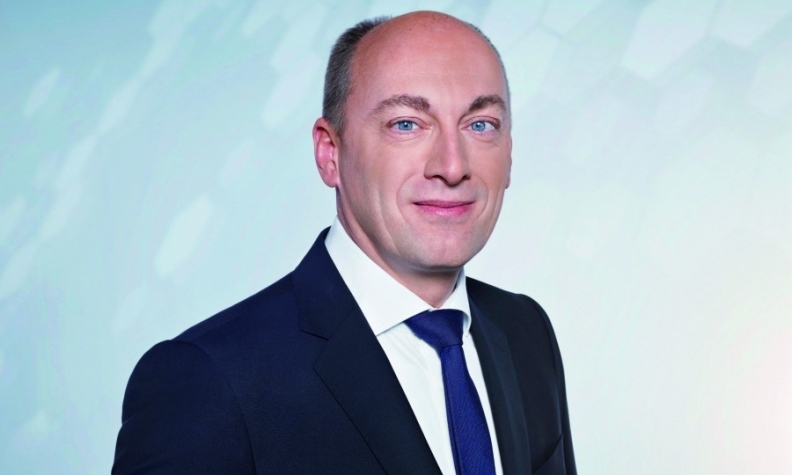 Audi nearly lost Stefan Knirsch to the competition. Volkswagen Group's premium brand confirmed the powertrain development chief's departure by his own request last June. But then Audi "luckily," as one official put it, succeeded in luring him back. Knirsch, who declined to talk about the brief stint with the unnamed company, has big shoes to fill. In January he replaced Ulrich Hackenberg, the father of VW group's ultra-flexible modular architectures, as Audi's head of development. Knirsch outlined changes that Audi has made in the aftermath of VW Group's diesel emissions-cheating scandal and shared his views on the future of diesels, e-motors and autonomous cars with Automotive News Europe Correspondent Christiaan Hetzner and Automotive News Reporter Ryan Beene. BMW CEO Harald Krueger says he can already see a time when it no longer makes sense to invest in diesel due to the rising cost. When will that happen? Gasoline engines are also getting more expensive. Nearly every one today has a turbocharger, so you are adding nearly the same technology. Of course, diesels have a more expensive after-treatment system but gasoline engines will follow, with particulate filters and more expensive catalytic coatings. It makes no sense to talk only about the disappearance of the diesel. One day, the overall share of combustion engines will drop as the share of zero-emissions cars increase. What do you think the fallout from VW Group's emissions-cheating scandal will cost the industry? Have you made any estimates so far? Frankly speaking, no. This can be answered when we know how often they will want to see cars tested on the road. It doesn't make sense today to ask, "Do they want to see each and every new type tested twice a year?" because the discussions with regulators have not finished. We are pretty sure that we will return to normal discussions very soon. Will Audi have to slash its development budget to help the parent company cover the cost of the scandal? R&d expenditure rose by 5 percent or 6 percent annually over the past few years. We are sure that we have the financial power to maintain this. Of course, we are looking at ways to save, but we will not stop -- or even delay -- investing in future technology. That much is clear. Have you revisited other certification applications for other engines submitted previously to ensure this doesn't happen again? Of course. Currently we don't have the four-eye principle, it's more like the six- or eight-eye principle. That is a very normal reaction once you've undergone something like this. And, we are extending this beyond the exhaust emissions issue by looking at every software process in r&d within the entire company. We are taking preventive measures to make sure something like this cannot happen again. MAIN CHALLENGE: Restoring Audi's reputation for engineering expertise following parent Volkswagen Group's diesel-emissions cheating scandal. Has this scandal hurt the Audi brand or has VW brand taken the harder hit? According to our current market research, there has been no damage at all. Even in light of the current discussions, our U.S. dealers recently told us customers still want diesels, particularly for our Q models. This was a surprise, even to us. What can we expect from Audi in terms of autonomous driving? Customers will be able to experience a Level Three piloted car for the first time next year with the new Audi A8. The vehicle will be able to fully take over control at speeds of up to 60 to 65kph. Right now all you can buy on the market – whether it be from Audi, Mercedes or Tesla – is Level Two, meaning you still have responsibility for the car and have to intervene if something happens. Not long ago someone said to us: "The car industry is the only industry that has consumers sitting in one place for many hours, fixed in by a belt, and yet you don't sell them anything. I don't understand." Once we have autonomous driving the consumer will have time, and we can start offering them something to do. These are the new business models we see. This story is from the current issue of the Automotive News Europe monthly e-magazine, which is also available to read on our iPhone and iPad apps.You can download the issue as well as past issues by clicking here. How can Audi achieve the same differentiation with electric drivetrains that it does with combustion engines? It may appear today as if all e-motors are the same, but they aren't. They are at a development stage similar to where combustion engines were in the 1960s or '70s. Imagine what would happen if all those engineers around the world who are working on internal combustion engines suddenly switched to working on this new technology. E-motors will definitely be a core competence for Audi, and we will build them in-house. What do you hope to achieve with the 2.9 billion euro joint purchase of digital mapping business HERE? I think this is the first time we were able to disrupt Silicon Valley, because now we have a platform. BMW, Mercedes and the Volkswagen Group, including Audi, collectively put 14 million to 15 million cars on the road every year. In the future, they will be intelligent and will be able to feed our high-definition maps with a variety of real-time data that a Google or Apple will never be able to get from a smartphone. If one car gets into an accident 500 meters in front of you, it will transmit this information to the cloud within tenths of a second. The information will then be relayed to all the other cars almost instantly. The potential is incredible because this platform is scalable and it's learning everyday.